Like many people, this was the first Zappa album I owned. I got interested in Zappa shortly after he died, when RollingStone had an article on him and his music. The cover featured Nirvana and many readers rightly complained that Zappa should have been on the cover instead; months later Cobain himself would be on the cover after his death. Go figure. One of the great things about the article was they did a short write up on some of his albums. It was mentioned that a lot of people seem to start with Hot Rats. I was very curious about this guy and his huge discography. I ordered Hot Rats and it was like nothing else my little teenage head had been exposed to. My copy of course was a CD; anyone who has only heard this album on CD has only heard the 1987 re-mix. You haven't heard Hot Rats until until you have heard the original vinyl mix. It's slightly different sounding than the CD, but the CD has a longer "Gumbo Variations." This was one of the first 16-track recordings and has a much fuller sound than most music from 1969. This is also notable for being Frank's second 'solo' album (Lumpy Gravy being the first). Although he would still have Mothers later on, he made it clear with this album that he didn't exactly *need* them. The line-up features Captain Beefheart on the only song with vocals, "Willie The Pimp" as well as Ian Underwood who returns from Uncle Meat. Two violin players: Jean Luc-Ponty and Sugar Cane Harris, and future R&B artist Shuggy Otis (who wrote the song "Strawberry Letter #23") plays bass on "Peaches En Regalia." Speaking of "Peaches"...ain't that one hell of a song. One of Zappa's all-time best instrumentals (of which he has many). Opens with a terrific drum fill. Lots of tape manipulation on some instruments, especially guitar and overdubbed drums. No shortage of wonderful melodies here. Love the multi-tracked saxes. "Willie The Pimp" has a great riff played by guitar and violin in unison. Like the overdubbed percussion. After Beefheart does his typical avant-blues vocals, Zappa proceeds to show why he is master of wah-wah guitar. Of all the songs out there with an 8-minute guitar solo, this is clearly one of the best. "Son Of Mr. Gren Genes" is of course a reworked, instrumental version of "Mr. Green Genes" from Uncle Meat. Frank liked to use that "son of..." thing from time to time. This version has better bass and drum work. Frank gives us another great guitar solo. Like "Willie" the heart of this song is a jam based on Frank's solo, but the music still loosely follows a structure. Ends with a reprise of the main "Green Genes" melody; very orchestral sounding in fact. The first three songs are almost flawless, but the second half of the album is generally not as strong. "Little Umbrellas" features upright bass. Short but sweet. The longest song and the most jam-oriented is "The Gumbo Variations." First a sax solo. Then a violin solo. Then a guitar solo. Some interesting drumming during Frank's solo. A brief bass solo later on. "It Must Be A Camel" has a typical nonsensical Zappa title. Overall, this is probaly the least interesting song here. Sort of similar to "Umbrellas" but not as good. Cool overdubbed drumming at the start. Short drum solo before it goes back to the opening section (without overdubbed drums). This was jazz-fusion at a time when most 'fusion' was basically electrified jazz. 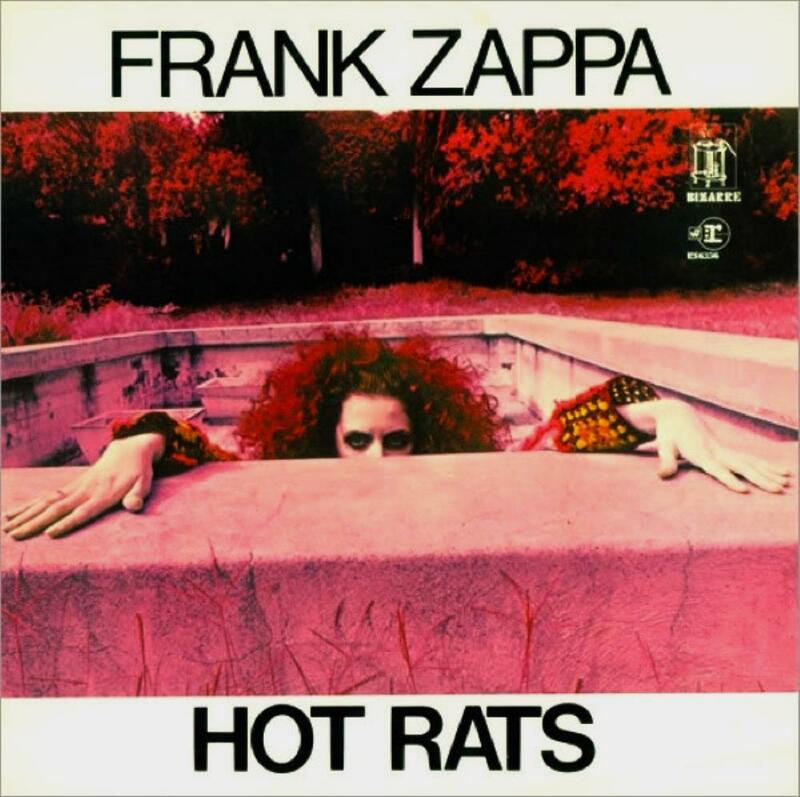 This was an influential album but Frank did the experimental jazz-rock thing better on the two sequels to Hot Rats: Waka/Jawaka and The Grand Wazoo. I don't think this is the greatest place to start with FZ but, what the hell, it's where I started and within five years I had about 20 Zappa albums. A great album but the second half keeps this from being a masterpiece. 4 stars.